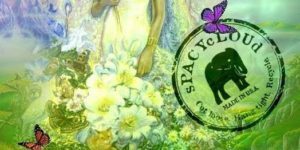 Join us for our fourth Bruja Brunch Party at the new SpacyCloud Lounge DC in Adams Morgan, a womyn owned and run biz that also supports Skate Girls Tribe in DC!! What’s Bruja Brunch? It’s a magical brunch with lots of love vibes. Featuring an opening ritual by the lovely Calypso Haze, Reiki healing and Intuitive energy readings by Sheba Shakti, Conjure Magic vegan brunch menu with infused CBD, magical art activities with The Omi Collective, Kryptk spinning + more! And get ready to make some serious magic! Anything you don’t use will be donated to making more awesome upcycle goodness, so feel free to bring anything listed above!! !